In an unbelievable move, in an open letter to the next President of the EU Commission, Jean-Claude Juncker, the national MPs have called for a bigger say in EU legislation. The letter is warned that “there are indications that in the EU fades the democratic legitimacy”. Indeed, the EU Commission needs not listen to the elected MPs. It is rapidly becoming a dictatorship in Europe and the people are simply ignored assuming they are too stupid to know what is best for them. Now, 20 out of 28 Member States have signed the claim. National parliaments are now demanding a greater say in the legislation coming out of Brussels. There is a rising tide within Europe that is against the federalization and in a join letter setting out this complaint to the next European Commission president, we are beginning to see the signs of discontent even at the political level. The letter is warning that “Europe [needs] a new relationship of cooperation between the Union and its Member States.” To this end, the national parliaments are to be strengthened, not ignored. But in Brussels, they fear the people will reject the federalization of Europe and as such they intend to just push it through regardless of what the people think they want. 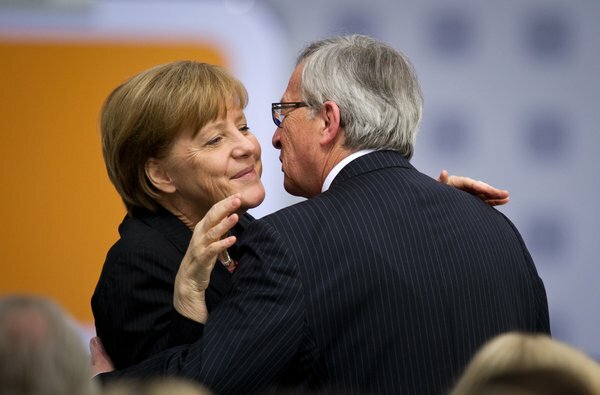 The next President, Jean-Claude Juncker, was nominated by the Heads of State and Government. He is France and Germany’s boy. Merkel and crew are selling out their own governments because they fear what will happen in the coming debt meltdown. I have explained numerous times that to cover up defaults, you need to change the system. This is what we see underway here in Europe. They are pushing even Basel IV that will be the usurpation of all control to the Bank of International Settlements and the IMF. They fear massive bank failures and sovereign debt failures and they are not prepared to reform the monetary system for fear of a loss of power. Therefore, they are seeking to usurp ALL power and create essentially a de facto communist-style state that controls every aspect of the economy. They will stop short of communism insofar as actually taking title to all property. Instead, this will be more of a fascist type state where you retain ownership in name, but they dictate what can and cannot be done. Moving to electronic currency is part of the game. They will cut off the underground economy in their eyes and force everything into the open. Spain has passed new laws allowing the taxation of bank accounts directly. This is what we see on the future after 2015.75. This letter was signed by 20 of the 28 national parliaments and it is an open confirmation that there is a federalization of Europe underway. The letter demands that the National parliaments must play a more active role in European decision-making. Just as we see a battle inside the Republican Party in the USA, we are starting to see the same rising tide toward third-party activity in Europe. This is a major war against Democracy.